I know, it's the Jaguar section, but there is some seriously awesome news here for you Vita owners. 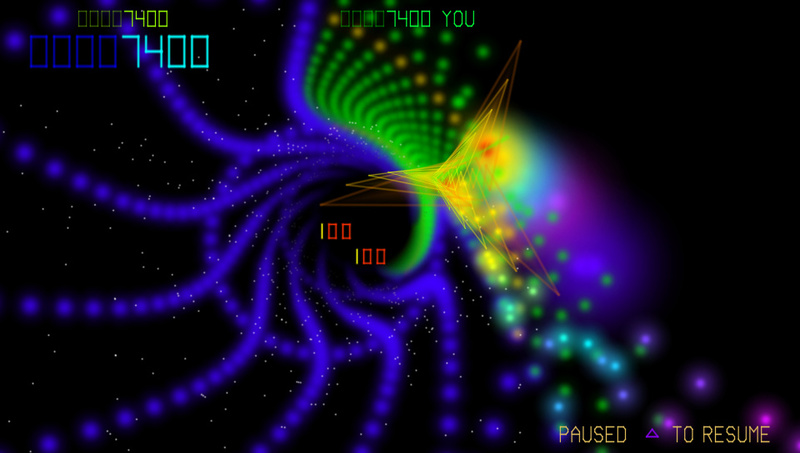 After long anticipation, Llamasoft has released TxK, which is Tempest 2000 with improved graphics and a few new things from Space Giraffe added to it for good measure, has FINALLY released for the Playstation Vita. Is it good? Nope. It's Downright AWESOME! It's available in the Playstation store as of the 11th of this month. The game is the main reason I bought a Vita in the first place. Honestly, I wasn't sure if it would happen, but I am more than absolutly happy that it did. I think it's time to return to T2KFreeker because this game reminded me how much I love Tempest 2000 and the jaguar in the first place. Tempest 2000;s grandson is well worth pickung up at $10.00. Now maybe we'll get a big screen version for the PS3 or 4, huh? I'd love to write a review, but where would it go, gents? Re: T2K on the Vita? T2KFreeker wrote: I know, it's the Jaguar section, but there is some seriously awesome news here for you Vita owners. 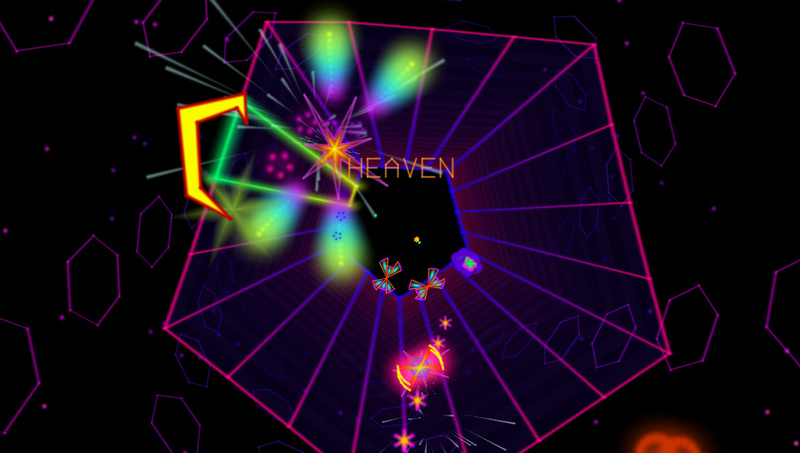 After long anticipation, Llamasoft has released TxK, which is Tempest 2000 with improved graphics and a few new things from Space Giraffe added to it for good measure, has FINALLY released for the Playstation Vita. Is it good? Nope. It's Downright AWESOME! It's available in the Playstation store as of the 11th of this month. The game is the main reason I bought a Vita in the first place. Honestly, I wasn't sure if it would happen, but I am more than absolutly happy that it did. I think it's time to return to T2KFreeker because this game reminded me how much I love Tempest 2000 and the jaguar in the first place. Tempest 2000;s grandson is well worth pickung up at $10.00. Now maybe we'll get a big screen version for the PS3 or 4, huh? I'd love to write a review, but where would it go, gents? It's good to have the Freeker back if I'm honest... err... Freeker! I couldn't get used to Master Darque I'm afraid. It felt like a weird alias as opposed to your username, if that makes sense (i.e. sure, I'm calling him Darque here, but he's the Freeker!). Anyway, I had an opportunity to play this last October at the Play EXPO (Manchester) with Jeff observing in the background. I asked him some questions, one of which was 'is this coming to PS3/PS4 eventually' and he inclined that it most probably would be doing. So, not owning a Vita, I guess I shall have to wait it out. Plus if he DOES port it to 'the big screen', he will have to rename the super-weapon "SuperZapper (recharge)" as opposed to "SuperTapper"... eh? Sounds like a paradox to me Trev. Let's say: If 10,000 copies sell, but only 11,000 ppl own the Vita, does that make the game a success?? Honestly though, the LCD screen is the big reason I bought a Vita when I did, I wanted one with the OLED. It's one of the few things that really impressed me about the system on launch. The D-Pad is nice too, considering it's a Playstation and that's always been a point of contention for me an their systems as playing fighting games on said systems is usually a pain because of said D-Pads. When I saw the "Vita TV" coming from Japan, I was a little saddened to see that the control pad would be a standard Playstation style pad without the nicely reworked D-Pad from the Vita. Seriously speaking though, this game really is well put together and pays serious respect to Tempest's roots. I've always been a fan and am glad to see that a new game has surfaced. I'll be buying it for the PS3 if it releases for it. I'll get the PS4 version if not for the PS3 should I ever get a PS4. For the time being though, I am more than happy to enjoy it on the Vita. Awesomeness has ensued. Now let's get another oldschool classic on the Vita. Where's Return To Monster Manor already? Attach rate is good, numbers are better, lol. The game is already a critical success - let's hope it can be a financial one. I am eventually going to buy a Vita. And it is going to be, first and foremost, for this game. Austin wrote: I am eventually going to buy a Vita. And it is going to be, first and foremost, for this game. Good choice. I finally got to see the game on an LCD version of the Vita though. Whatever you do, I highly recommend the OLED version of the system. The game looks so much more crisp and colorful. It just doesn't have that same punch as the OLED screen does as was stated above by NG Ninja. He was thoroughly right. T2KFreeker wrote: Whatever you do, I highly recommend the OLED version of the system. The game looks so much more crisp and colorful. It just doesn't have that same punch as the OLED screen does as was stated above by NG Ninja. He was thoroughly right. Yeah, I may have to bite the bullet and buy the OLED model, I've heard that they will be discontinuing them. Definitely don't want to be paying the same money (or more) for an inferior, "revised" model. Yeah. The colors just don't pop the way they do on the OLED. Blacks aren't as dark either. It's really noticeable on a game too when most of the background itself is black. I mean, for an LCD screen, it is nice. Much better than the PSP screen, but I also noticed motion blur that you don't get on the OLED as well. I thought they were coming out with a new OLED model, am I remembering incorrectly? 3DO Experience wrote: I thought they were coming out with a new OLED model, am I remembering incorrectly? Yes you are. The "Slim" system that just released has a LCD screen in it, not an OLED display. As a note, the PS Vita 2000 hasn't officially relead here in the states yet that I am aware of. However, a buddy of mine imported one from the UK. I think I am going to pick up a Vita later today. Not really in a position to grab one financially speaking, but there's always plastic. Definitely need to get an OLED one before they are gone. I also want the older, thicker model. After their PS3 "Super" Slim, I don't have faith in them to make another high-quality slim unit (like the PSP Slim, which asides from the disc tray, was really nice). Austin wrote: I think I am going to pick up a Vita later today. Not really in a position to grab one financially speaking, but there's always plastic. I grabbed an OLED model with all the news of the cheaper LCD models. I'm very happy I got an older one, but I wouldn't worry about it too much. However, I don't think the LCD is entirely bad news. - Suceptible to Burn in. sneth wrote: I grabbed an OLED model with all the news of the cheaper LCD models. I'm very happy I got an older one, but I wouldn't worry about it too much. Thanks for the clarification! I will admit to being relatively uneducated in this matter. But, I do enjoy my blacks being black, and I can definitely tell they are from the PS Vita I picked up today! Everything looks crisp and clear. TxK is amazing, by the way. Wipeout is pretty cool too. Also picked up Monkey Ball and Lumines, but I haven't tried them yet. FYI to prior-PSP owners, some PS One classics are available on the PSN shop for the Vita. If you have previously purchased one of the games available and you have your PSN account linked, you can re-download them at no charge. Same with PSP games that were brought over to the Vita. That is excellent news, because I have a couple dozen PS1 purchases from over the last eight years or so. I knew about the slim with LCD, so it's the 2000 that has the new kind of OLED? No, the 2000 model has the new LCD screen in it. Sony no longer manufactures the Vita with the OLED screen in it. What's already out there now is all that is left. LCD are 2000, Sony label above the top left screen. Also, on the LCD versions, the Start, Select, and Home (PS) buttons are round whereas the original models are oval. Almost like they are pulling a Sega Saturn, eh? Austin wrote: FYI to prior-PSP owners, some PS One classics are available on the PSN shop for the Vita. If you have previously purchased one of the games available and you have your PSN account linked, you can re-download them at no charge. Same with PSP games that were brought over to the Vita. That is excellent news, because I have a couple dozen PS1 purchases from over the last eight years or so. If I ever pick of a Vita I'll take advantage of that. T2KFreeker wrote: Almost like they are pulling a Sega Saturn, eh? Not sure if you guys know, but the soundtrack is available for download as well now! I know I'm going to get it and place it in with my Tempest 2000 and Defender 2000 soundtracks! Excellent! T2KFreeker wrote: Not sure if you guys know, but the soundtrack is available for download as well now! I know I'm going to get it and place it in with my Tempest 2000 and Defender 2000 soundtracks! Excellent! Thanks for sharing. I still have the one packed in with the Jag cd. Good to know this is available online.